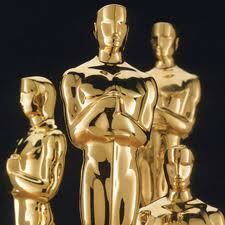 For the first time, I saw all the best picture nominees, a difficult task with ten films now nominated. It’s a tough year to make a choice as there are several outstanding films – but not one that, in my mind, rises that much above the others. I could see this going to five of the nominated films: Black Swan, The King’s Speech, Winter’s Bone, True Grit or The Fighter. My Pick: I’ll be slightly contrarian and pick Inception as my choice for Best Picture. It’s not going to win, but I like its complexity and visual sweep. 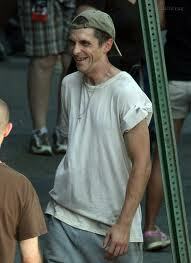 I also think this is a film that will get a different – and more favorable – look down the road. Likely Winner: Tough call but I’m going to go with The King’s Speech. As with Best Picture, this is a very competitive race. You’ve got three crtitically acclaimed directors (Darren Aronofsky, David Fincher, and David O. Russell) known for unique perspectives and visual styles (often addressing topical and/or difficult subject matter), none of whom has won an Oscar previously. Add in the veteran team of Joel and Ethan Coen (who won previously) and newcomer Tom Hooper (only his second feature film) who directed a possible Best Picture winner, and it’s a very exciting race. My Pick: I’d vote for Darren Aronofsky (Black Swan) on the basis of his visual mastery and the amazing performances he pulled from his actors. 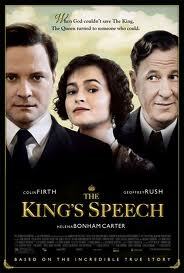 Likely Winner: Based on his DGA win, I’m betting on Tom Hooper (The King’s Speech). I haven’t seen Javier Bardem in Biutiful but have seen the other four performances. My Pick: I’d vote for James Franco in 127 Hours. Read my review for why! Likely Winner: This will be Colin Firth’s year, I believe. I’ve only seen three of these performances (Natalie Portman, Jennifer Lawrence, and Annette Benning). Not the best year for this category! My Pick: Christian Bale – As a friend pointed out, it seems like over-acting until you see the footage of the real Dicky Eklund at the end of the film and realize how well Bale nailed him. This is a contest between actresses playing indomitable and manipulative mothers: Jacki Weaver in Animal Kingdom, and Melissa Leo in The Fighter, with Amy Adams having an outside chance if voters split over the first two performances. My Pick: Tough call here but I’d go with Melissa Leo. Very intense and non-sentimental portrayal of a difficult character. My Pick: Some excellent scripts this year but I’d vote for David Seidler (The King’s Speech) by a hair over Christopher Nolan (Inception) and Lisa Cholodenko & Stuart Blumberg (The Kids Are All Right). Lots of great source material this year! 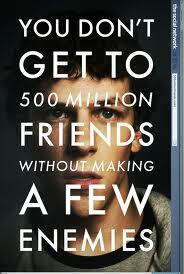 My Pick: I’ve always loved Aaron Sorkin’s writing and I think he nailed it with The Social Network. I’ve only seen Restrepo, and Exit Through Gift Shop, both of which are good, although I’d give the nod to the former. I suspect, however, that one of the remaining trio of films will win (Gasland, Inside Job, and Wasteland) as they all take on big corporate interests, which Hollywood (despite being a big corporate interest itself) tends to like. My money would be on Gasland because of the recent revelations that the gas industry has pulled all the stops to derail the film, which can only help it.